The InnoCité MTL accelerator has chosen Give-a-Seat for its latest cohort of promising startups. The young company is the brainchild of co-founders Guillaume Campeau and Théo Corboliou (BBA), who have just completed the Rémi Marcoux Entrepreneurial Track. 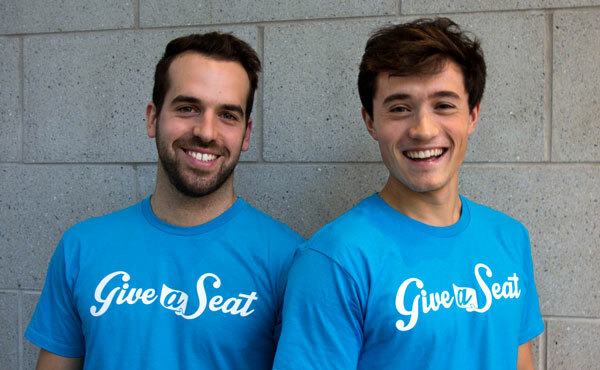 Give-a-Seat is a platform for selling show and sporting event tickets to benefit charitable organizations. The company plans to sell discount tickets donated by event organizers and sponsors, with the proceeds going to the charity of their choice. The two co-founders continued to develop their idea as they took part in the Rémi-Marcoux Track in 2016. Théo and Guillaume explain that it gave them a chance to meet other entrepreneurs, exponentially expand their network, and receive very concrete coaching on advancing their business plan. The next step is to make Give-a-Seat a fixture in Quebec. InnoCité MTL, a partner of the City of Montréal, selects market-ready startups whose urban innovations improve Montrealers’ quality of life. Its criteria include the quality of the business plan, growth potential and the applicability of the solutions to urban issues.